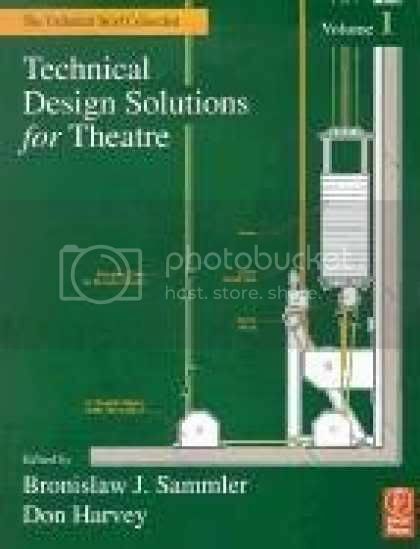 I just purchased "Technical Design Solutions for Theatre" on Amazon.com, and let me tell you, it is the nerdiest, bestest thing ever. From growing flowers onstage to creating a realistic TV-lighting effect, it covers some of the most specific things I've ever seen in a technical theatre how-to manual. There are two volumes, and probably more to come, from the Yale Drama department. What about you? Favorite theatre books? Here are the three posts that drive most of the traffic to this site. If you're a newbie, perhaps start with these. Oh. Ugh. A Safety Story. This was posted over at Control Booth by MNicolai. "A few years ago a guy was focusing lights from a one-man Genie. In a futile attempt to have an added safety measure, he wore a harness while in the lift, which he secured to the electrics he was focusing from. My guess is that his harness gave him a false sense of security and so he acted more dangerously while in the lift. So with his false sense of security, this stagehand is leaning out of the bucket ([sarcasm]remember he's safer because of his harness[/sarcasm]) when the lift tips over. 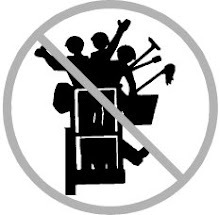 When the lift went over, his legs were caught in the bucket and both were snapped like toothpicks. As the lift came crashing down, he was suspended with his harness still, some 30' in the air gushing blood with what's left of his legs dangling, bones completely visible. A bad situation gone horribly worse, nobody had the key to operate the motorized winches supporting the electrics so it took some 5 minutes to get the key, meanwhile he's still bleeding out." Hey there- so my lil' blog is sorely lacking not only in frequent posts, but also in audio information. Here's a cool blog with tips and tricks for clearcom, audio mixers, and other gear. Also, I didnt know about this, but maybe they'll do it again in 2010. At John Jay college in NYC, they held a sort of audio conference/training day called Sound 411. Anyone got info on that? ETC gets into the rigging control business. Article here. TourTek gets smart about cable management and truss design. (why are they the first to figure this one out? Because of these nifty connections ON THE TRUSS, the days of running hefty multi-cables will soon be over!